← A Thousand Prostrations to our Spiritual Father! 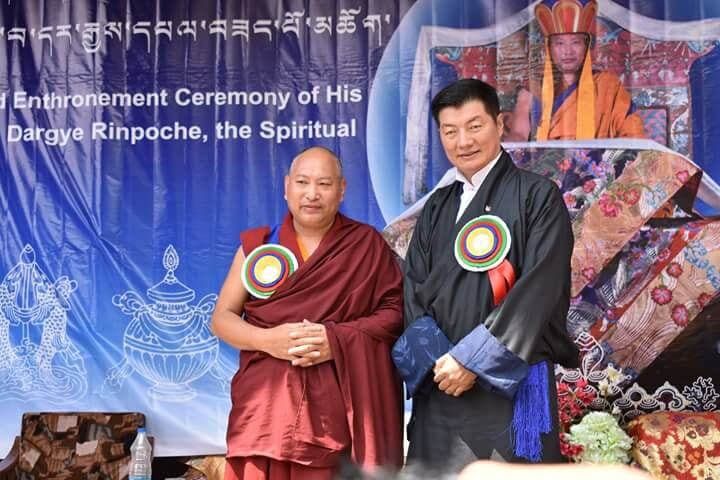 The grand enthronement ceremony of His Holiness 34th Menri Trizen Dawa Dargye Rinpoche was attended by the president of the Central Tibetan Administration, Dr. Lobsang Sangay. During the event, Dr. Sangay gave a speech and also presented the 34th Menri Trizen Rinpoche with a mandala offering. Posted on September 9, 2018, in Tibetan Lamas, Uncategorized, Yungdrung Bon Monasteries. Bookmark the permalink. Leave a comment.